He said Modi was the first prime minister of the country who did not present the account of his foreign visits in the House. 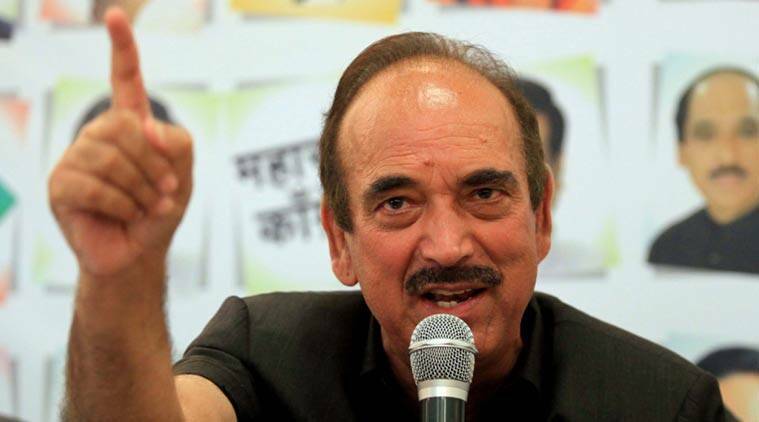 Senior Congress leader Ghulam Nabi Azad on Tuesday asked why Prime Minister Narendra Modi does not highlight his government’s achievements in the Parliament. “Why doesn’t the prime minister speak about the achievements in the Parliament? Why is he highlighting the achievements in desert areas? Because lies cannot be said in Parliament and there is no one to verify his claim in the desert,” Azad told reporters at the Congress office here. He said Modi was the first prime minister of the country who did not present the account of his foreign visits in the House. “Whenever a prime minister returns from a foreign visit, he briefs the Parliament about the visits and his meetings… But Modi never tells that to the Parliament. Parliamentary traditions are being broken,” the leader of Opposition in the Rajya Sabha said. On the other hand, the Congress targeted the Bharatiya Janata Party (BJP) over its manifesto for the Rajasthan Assembly election, saying it was a document of illusion. “The BJP has just presented an illusion. Instead of this, the party should have presented the reality of the 665 promises made in the 2013 elections,” Congress leader Randeep Surjewala said. He termed Union Finance Minister Arun Jaitley a “blog minister” and said the public had already rejected Vasundhara Raje as chief minister. Surjewala also released facts related to the agriculture sector in the state, saying 62 per cent of the farmers’ families were debt-ridden. He wondered if Jaitley and Raje could waive off Rs 2.63 lakh crore of a handful of industrialists, then why not the debt of farmers.